Winestock — Global Wine Solutions Ltd.
in the sunshine in Salcombe in South Devon. With a group of friends we decided to create a wine festival, a big party where great wines are enjoyed alongside food and brilliant music. Of course we managed it, and repeated it the next year, but what we did not expect was that we would end up running world class wine events as far away as the USA and the Caribbean! 2017 represents our 6th WINESTOCK in the Caribbean. 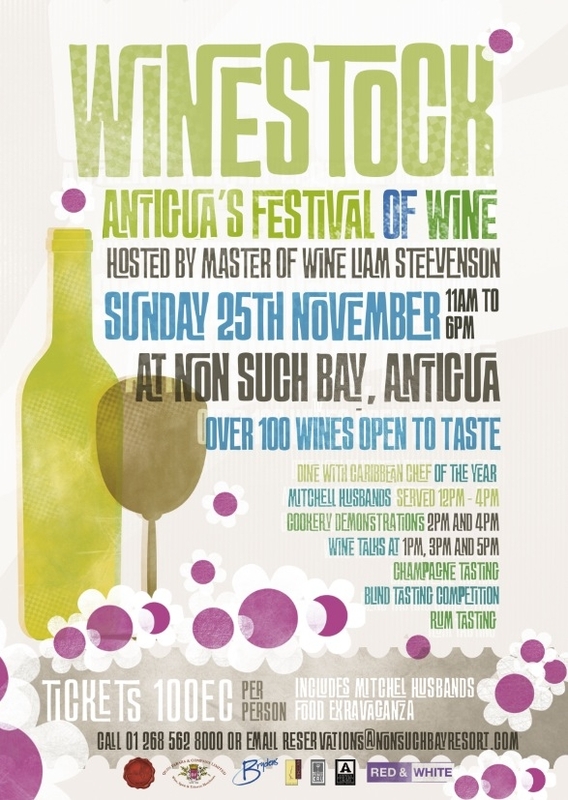 On the 19th November the party kicks off again, and the annual mix of sunshine, wine, fantastic music, food and the wonderful people of Antigua will ensure this remains 'The Greatest Wine Party in the Caribbean'. On quite the most incredible piece of land in Antibes, facing the Super Yachts of the super rich, we will deliver our first WINESTOCK Antibes this September. Outstanding Food, Wine and Music with some of the most engaging speakers we have ever employed. Working alongside a super talented team, so that we create the perfect party in surely one of the worlds most dynamic and exciting cities. The wines craze here is phenomenal, so we look forward to delivering our biggest party yet.